Here's what they wrote down for me that night, which I realize is a little different than what some articles online are saying (for instance, no cacao). Short shake, strain into Collins glass with ice, top with soda water. Bracingly bitter in a surprisingly pleasant way. Reload of the Beefeater. The rest are fresh additions. Cabinet is starting to groan! Excellent! I will check it out. I guess with Novasalus the use of Dandelion & Burdock bitters is a bit redundant? Don't know why I thought that might be in there! Interesting that they did not include cacao which gets mention in a lot of posts about it as you note. For me the latest delivery was the new Barrell brand of Jamaican pot still rum at around 135 proof (just a wee bit of a kick!) and several bottles of Vin Juane wine from Jura just to satisfy a gustatory itch, having never tried it, and to help complete my Jura trilogy (Jura marc, Macvin du Jura and now the Vin Juane). Couldn't wait and dived into a bottle already. Very fino/manzanilla like as expected but I think I like it better than manzanilla. Doesn't seem to last long once opened though. Seen any Joy yet? Appleton Joy that is! Guzzling some Appleton at the moment actually...was not aware of Joy. Sounds interesting to me. Perchance I shall accost my spirits monger. 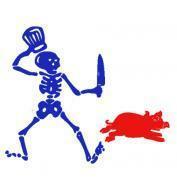 I discovered it at a BBQ contest in Mason City Iowa. One of the teams offered up a toast before the contest began. Brought back by a friend who was in Düsseldorf for business. Few Cask Strength Rye. Although I added water to get down to about 100 proof, I took a small sip at the 120 proof mark and it was still pretty damn good (my bottle of Thomas Handy rye, as a comparison, is mostly undrinkable to me at full proof, though also very good once diluted). Lots of baking spices, with a slightly sweet finish from the corn in the mashbill (I think I read it's about 70% rye, 20% corn, and 10% other stuff). I'll take more detailed tasting notes at some point but at $65 it's very nice for a cask-strength rye. Just be aware that the whole back story on this one is almost certainly complete BS. The alleged prohibition era recipe rye certainly is. Indeed, Templeton lost a lawsuit over consumer protection laws because of their attempt to claim it was "Iowa made" rye. This is another of the extensive collections of sourced rye whiskey from MGP in Indiana. And usually a pretty pricey one at that. Not one I will buy as a result. Wow you're a real Debby Downer. What's a good moderate price rye whiskey? Just be aware that the whole back story on this one is almost certainly complete BS. This article says your right but also talks about current building plans. It says "The first Iowa-distilled Templeton — aged four years — would appear on store shelves in about 2022"
It better be good to wait that long to get some. Maybe it will be but I wouldn't bet on it! Might need to define "moderate price" these days as prices go up and up! Templeton bottled MGP rye. If you like that profile you have several options. Smooth Ambler bottled some excellent barrels of this rye but they have gotten increasingly hard to find. But they were always up front about the fact they were bottling MGP rye and seemed to do a good job of picking good barrels. High West bottles MGP as part of their Double Rye (the other part comes from Barton) and it is pretty good. Bulleit is and always has been MGP rye. They don't provide an age and they weren't exactly forthcoming with the fact that it was a sourced rye either. They have the whole "frontier whiskey" BS on their advertising. Redemption rye is MGP and they offer some older barrel proof version but they have gotten pricey as well. Dickel rye is MGP with a twist (maple charcoal filtering) but not bad and usually very affordable. I like Sazerac rye for about $30-35 if you can find it. It is 6yo (or so the website claims, there is no age on the bottle). Made by Buffalo Trace but it is different as it has more balance between corn and rye (MGP has no corn at all in it) so it may taste different to you. The Buffalo Trace made Col. EH Taylor is excellent but tends to be a lot more expensive at around $70 or more. It is a bit like MGP in that it likely also has a high amount of rye in the mashbill but probably does have a little corn (BT isn't saying so just a guess!). Russell Reserve Rye is another I like and it is 6yo (I like the single barrel even better at higher proof but it is not age stated (not that age is everything of course). But they tend to be a bit more expensive. Rittenhouse is kind of the classic cocktail rye but not bad on its own and reasonably priced. Its older but more expensive big brother, Pikesville, is excellent as well but probably around $50 or more. I'm sitting here with Bison Ridge. Please don't tell me its crap. bottles of J.W. Dant Vodka. It's cheap and cost me under $30, but I have to live pretty cheaply, and this brand is much better, at least to me, than similarly priced Aristocrat or Crown Russe and other Russian vodkas. Crown Russe is pretty terrible, wow! I recently discovered that if you squeeze a lemon, mix it with just a little sugar and refrigerated water, then pop it into the freezer in a pint glass (that has already been in the freezer) for about an hour, you can add a shot of vodka from the freezer and enjoy a very fine slushy lemonade drink. Highly recommended. 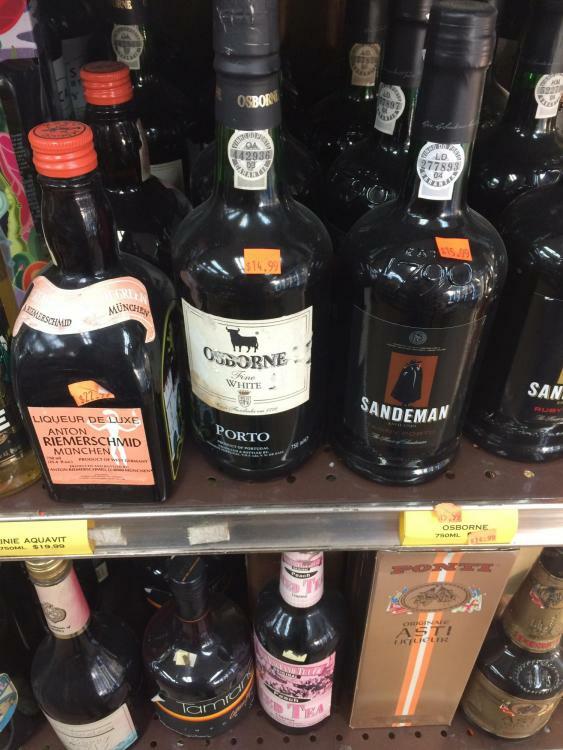 My last restocking trip included Hadley & Son gin, Peychaud's bitters, and Porto Morgado ten year old tawny port. Just as important, what to buy? I read reviews but they don't necessarily tell me what I'd like. I've been conducting blind liquor tastings with a group of like-minded friends for several years. 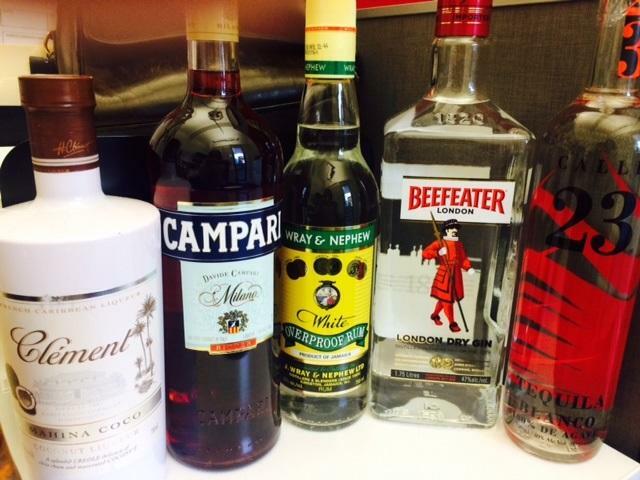 We tackle a different spirit each time; whiskey, vodka, tequila, etc. 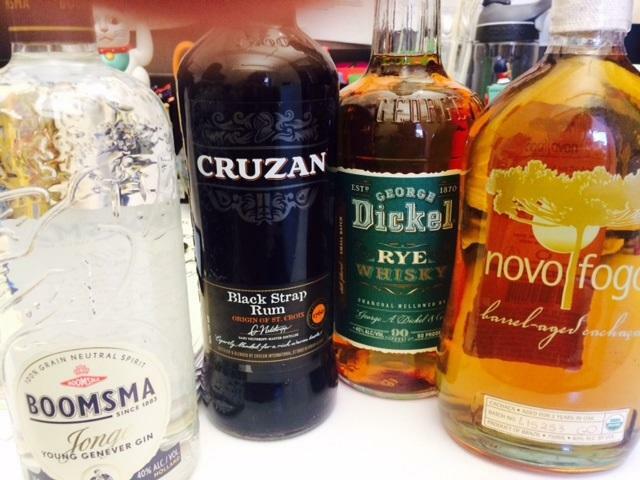 I've learned more about what makes a good spirit, at least to my taste, from these tastings, than from anything else. I wrote an article recently for Proof Media, a liquor site, that summarizes how to conduct a simple tasting. 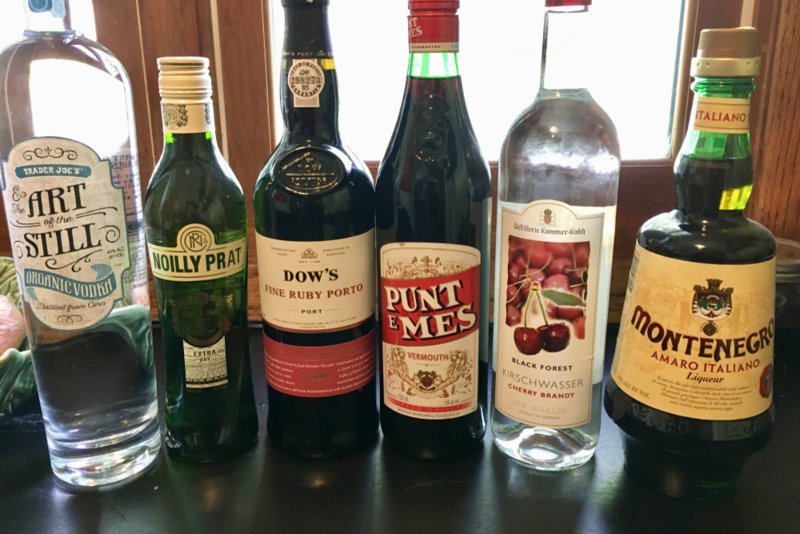 Some of my repeat purchasing decisions have been made from the tastings I've done, and my friends always want a list of the top scoring liquors for their own shopping lists. I believe one should drink what they like so if you like it then that is all that matters. That goes for Templeton as well! If you like it then you should drink it. I just find it important to me to know a little about how it is made and what is really in it. And if I don't like the way the company represents itself then it is almost inevitably going to effect the way I think about the product, even if it is "good". 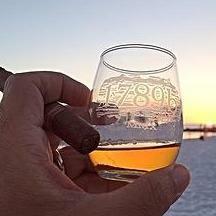 Michter's and WhistlePig are two that have impacted me that way. Some of the things they sell are pretty good but I just don't like how they sell it (with a made up story using whiskey they, for the most part at least in the recent past, got from somewhere else). Getting whiskey from somewhere else isn't inherently bad. But it is for me at least of some importance the way you market it and especially if you try to pass it off as something it is not. 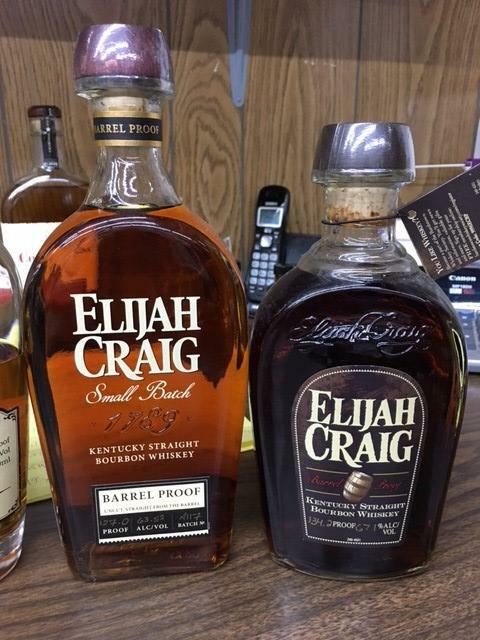 To get back on track I recently picked up the most recent batch of Elijah Craig Barrel Proof in its newly designed bottle at 127 pf. We then did a side by side of this new bottle against the very first batch (at 134.2 pf) that I dug out of a dusty corner of my basement. No comparison as the original batch is a superior whiskey to me. The picture makes the older batch look much darker and it is darker but the contrast isn't quite as dramatic as it appears in the picture. My first real bottle of absinthe. Wasn't sure if this warranted its own topic so feel free to move as appropriate. This is more of a "what I am thinking about buying" post! Picture of a selection of older bottles which I can't seem to find out much about. The Ponti Asti Liqueur in the gold box at the bottom right of this picture has left me a bit in the dark. Anybody know anything about it? Looking forward to playing with Kirschwasser, port, and Montenegro, all of which are new to me. Not looking forward to returning to Trader Joe's because I grabbed vodka thinking it was gin. 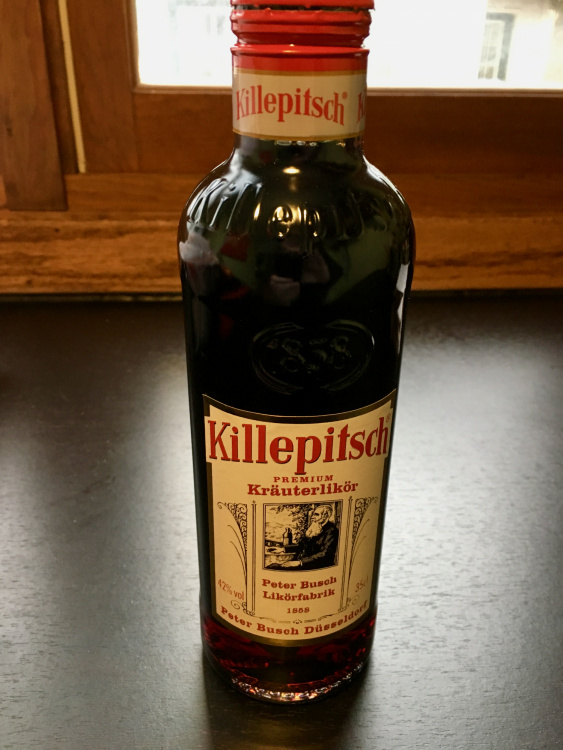 Kirsch is an underrated mixing spirit, and really good for drying out drinks where you otherwise want a lot of Maraschino. In my experience (three or so brands), it tends to have a resiny/rubber-y note that you don't get from most Maraschino liqueurs, but which can be very cool in conjunction with, say, mezcal. Do you know anything about this Kammer brand @Rafa? It was the only legit option at my local store. Do you mean substituted for maraschino to get a similar aesthetic? Or combined with large amounts of maraschino to balance off the sugar? Or something else entirely? Do you have an example that comes to mind? Also, is ruby port shelf-stable, or do I need to fridge it/drink it fast?